Few individual books of the Bible have changed the course of church history the way Paul's letter to the Romans has. Whether we think of Augustine's conversion in the fourth century, Luther's recovery of justification by faith in the sixteenth or Barth's challenge to re-establish the primacy of theological exegesis of the Bible in the twentieth, Romans has been the catalyst to personal spiritual renewal and the recapturing of gospel basics. ^^Paul, in seeking to bring unity and understanding between Jews and Gentiles in Rome, sets forth his most profound explication of the gospel and its meaning for the church. The letter's relevance is as great today as it was in the first century. 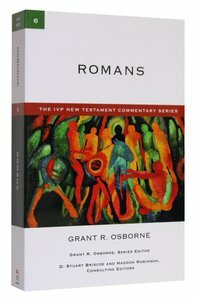 About "Ivp Ntc: Romans (Ivp New Testament Commentary Series)"